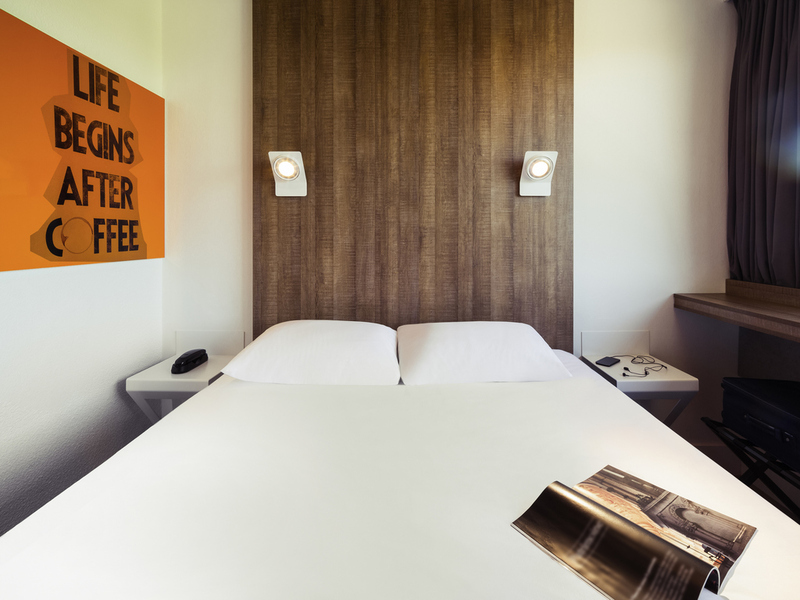 Breakfast and unlimited WIFI are included in all rates at the ibis Styles Niort Poitou Charentes. Our hotel offers 50 air-conditioned, fully-renovated rooms, and is located 4.3 miles from Niort town center, on the edge of the Marais Poitevin, 45 minutes f rom La Rochelle and 50 miles from Futuroscope, near Poitiers. The hotel can be accessed from the A10 from both the north and south, as well as from the D948 exit 32, and is located at the Poitou Charentes rest area which offers several catering options.